dhamma musings: The Way...To Decline? Bhante, how about number of converts in and out of Christianity among young people in Singapore? I heard Christianity is also growing well there. They even have Christian meditation using the mantra 'Maranatha'. 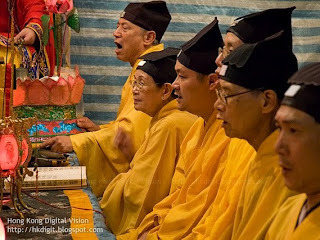 In general, there is growing religiosity in Singapore with every mainstream religion claiming increased membership except Taoism. Unless this increase is matched by increase in population then if the claims were true, Taoists, free-thinkers and fence-sitters must have converted! I won’t trust statistics so simply. At any rate, quantity does not mean quality. I know of people converting because of love, marriage, friendship, family, about-to-die and for inheritance. My late father was prepared to accept the Lord if his wish to strike the Big Sweep was granted. For me, I am prepared to give the Church 90% of my Toto jackpot prize winning if my wish is granted by the Lord! Thank you for linking my blog on your website. Of course you're right in that the practice of Shenism is completely separate from the teachings of Lao Zi. Even if most Chinese Singaporeans cannot tell the difference, I should have made the distinction clear. Thank you. As for the growing interest of Buddhism among the young - there are many factors, of course. I only meant to point out what celebrity has done for Buddhism. I did not mean to imply that it was the sole factor. Again, I appreciate your thoughts. I do hope to meet you some day.